Discos en vinilo y CD de Robsoul Recordings France. Review: Niall Tolliday's resurgent production streak under the formerly dormant Nail guise was in full swing in 2013, gracing the likes of Fear Of Flying, Robsoul, Airdrop and his own Shabby Dolls label with his own brand of sample heavy and funk fuelled house of a decidedly stout persuasion. Given the reception afforded to Block Trax Vol. 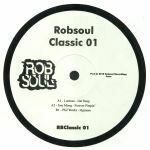 1, his debut for Robsoul last year, it's little surprise that Phil Weeks has tapped Tolliday for a second volume which contains more of the same. For anyone that enjoyed Tolliday's work as part of post millennial duo Bent, it's excellent to see him applying similar levels of deft sampling to more floor focused sounds. Block Trax Vol. 2 is primed perfectly for any self respecting house music set. Review: Since last starring on Robsoul midway through 2016, Parisian turntablist-turned-deep house producer Reda Dare has been busy. 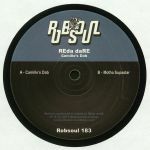 He first shared a 12" with French legend Chris Carrier before launching his own REda dare [sic] label. Now he returns to Robsoul with a no-nonsense, club-friendly two tracker that sits somewhere between deep house and the currently hyped Parisian tech-house sound. A-side "Camille's Dab" is a perfect example of this, with the producer layering warm electric piano chords, U.S garage style melodic flourishes and cut-up vocal samples over a sleazy tech-house bassline, rising acid lines and bumpin', peak-time beats. Flipside "Motha Superstar" follows a similar sonic blueprint, with dreamy deep house chords and pads drifting in and out of an otherwise typically Parisian tech-house track. Review: Following the recent dip into the Theo Parrish archives that was The Twin Cities, Phil Weeks' Robsoul imprint looks to another one of Detroit's adopted sons in the form of Rick Wade. Like that recent Parrish reissue, Weeks re-releases another three tracks from Wade's bulging discography. The upbeat disco loops of "Players Theme" was originally released on French label Funky Chocolate in 2002 and still sound fresher than anything being plied by the Soundcloud dwellers today, while "Can't You See" from 2003 provides a more soulful take on house music. On the flip, the tracky funk and cascading string melodies of "I Feel Good" originally graced Wade's own Harmonie Park imprint in 1998, but sound no less vital today. Essential. Review: Right from the tip of his top hat, Eats Everything has got serious beef with us... And we couldn't be happier about it. Taking Weeks' 2014 Holloway-belting thumper and ramping the dickens out of every clattering snare roll and chugging kick, Eats' take on "It's Inside That Counts" rattles and hums with subtle edit craft. Retaining everything that's great about the original (and the samples Weeks used) this hits every dancefloor spot imaginable. Tip! Review: If it aint broke don't fix it: Phil Weeks' winning recipe is on display once again, with this great label sampler that showcases his knack for seeking out the most infectious of looped-up, dusted down and disco-fied sounds -all optimised for ergonomic DJ use. His typically bouncy sound can be heard on "The Ghetto Code" where he uses a very familiar hook of a Windy City classic. Deep, lo-slung and downright funky shenanigans by Iban Montoro & Jazzman Wax on "Juernes Day" round up the A side. On the flip, label mainstay and fellow Parisian homeboy Joss Moog delivers the goods once again on the hypnotic boompty business of "Room 28", while Arturo Garces' "Catch Me" explores classic Arthur Russell style disco vibes in a rather irresistible fashion. Next online in 11 hrs 33 mins.